HFor that special someone and to help adorn every occasion - you can count on an H Samuel gift card. Letting you make each moment memorable with a little or a lot of sparkle, you can rely on a stunning diamond selection plentiful of engagements rings, wedding bands and more here. Beautiful gifts can often speak louder than words - especially when you can find something from a renowned jewellers like H. Samuel. With delightful jewellery available, in addition to watches, gifts and even collectables - since the 1800s - H. Samuel has never failed to impress its customers with its offering. 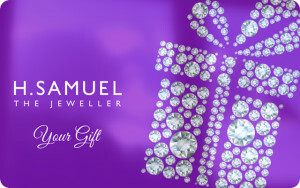 Treating another to a H Samuel gift voucher will let them invest in classic pendants, bracelets and much more. With nothing but quality pieces available, in an array of precious metals and styles to suit all tastes - H. Samuel is where you will always find the perfect addition to a jewellery collection. 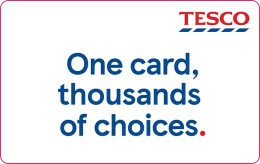 Please present your unique eGift Card number prior to purchase at the till point. Please use additional payment methods for any outstanding balances on your purchase. 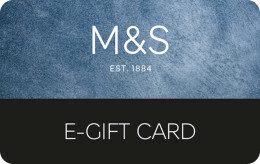 Visit www.hsamuel.co.uk for online purchases and enter your eGift Card number and Pin on the Payment Details page at the Checkout. Please use additional payment methods for any outstanding balances on your purchase.